Did you know that it is illegal to directly purchase firearms by mail order? Of course you did. That’s one of the better known consequences of the Gun Control Act of 1968. Did you also know that there are certain exemptions to this rule for licensed collectors? I certainly didn’t, until a few years ago. Observing some of the various on-line gun forums, I would occasionally notice the discussion of ordering firearms under some kind of license. Initially, I assumed this was talk among the few “kitchen table” gun dealers to survive the purges of the W. J. Clinton administration or something equally inapplicable to California. In fact, however, I was mistaken. The Gun Control Act generally prohibited mail-order sales and most other interstate firearms transactions. For obvious reasons, this does not apply in all cases to holders of the various types of Federal Firearms License. For example, licensed dealers order their inventories from licensed manufacturers and licensed importers. Licensed collectors of curios and relics may participate in the interstate trade of firearms so classified. Becoming a licensed collector of curio-and-relic (C&R) firearms is a relatively painless process. The would-be collector submits copies of the application to the Bureau of Alcohol, Tobacco, Firearms, and Explosives (BATFE) and to the local law-enforcement agency, pays a small fee, and undergoes a standard background check. If the applicant is not legally disqualified, the BATFE will issue the license. The main benefit of the collector’s license (FFL-03) is convenience. It allows the firearms enthusiast to build a collection more efficiently and often less expensively. 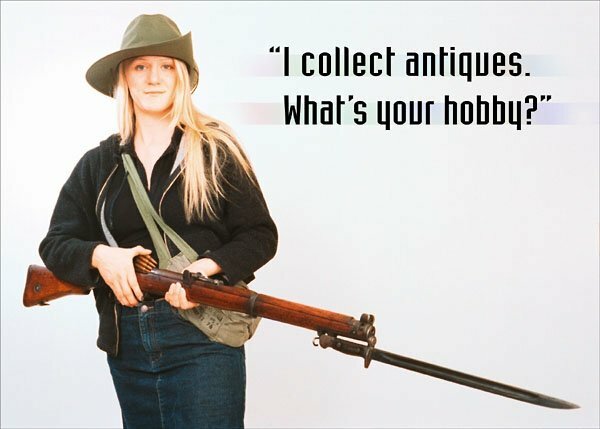 Ironically, while the trade in modern firearms is stuck in A.D. 1969, the trade in antique firearms has mostly moved into the 21st century, with Internet sales, on-line auctions, and the like. However, the collector’s license still has many limitations beyond the exclusion of modern firearms. While the licensee may buy and sell C&R guns more easily, the license is not a permit to do business as a firearms dealer. The licensee must also maintain transaction records, which may be inspected by the BATFE. Finally, of course, the licensee is still subject to state and local laws. This last point can lead to a lot of confusion, and it certainly did for me at first. California law recognizes federal C&R definitions and also provides similar if more limited exemptions for the transfer of older firearms between non-licensees, which leads many to assume incorrectly that these are the only exemptions that apply to Californian FFL-03 holders. In fact, that which is not prohibited is permitted.